Spring is here and what’s a better way to end the summer than a vacation trip on some of the world’s best tourists’ spots. From flower festivals to food festivals, art history to modern architecture and from surfing to skiing, you take your pick. If you’re into the calmness and ironically, the wildness of nature, Penang, Malaysia should be on your to-go list this coming Spring. Habitat Penang Hill is estimated to be over 130 million years old, and hosts over 170,000 plant species. It may not be the largest of tropical rainforests in the world, but it is definitely one of the most beautiful tourist-friendly rainforests. A perfect place for a tropical adventure, as the rains usually pours in between the months of April and October. Despite being on the frontpage in the news this last couple of months due to terrorism, Queenstown, New Zealand is still open for tourists around the world. Though the people might still be grieving with their losses, it doesn’t stop them from having fun with their festivities and yearly parades and events. Explore the city this coming spring and be amazed with what the city has to offer with their widely popular events such as village parade, dog shows, races, parades and children’s workshops. Greece has always been, and probably always will be a hot spot for tourists. It’s one of the best places to visit when you want an escape from the crowded streets and heat of the summer. Don’t forget to sign up for a cruise along the Aegean Islands and try not to miss one of the most anticipated festivities in the area, the Greek Orthodox Easter that will happen on April 29. Alongside the spring events that the islands are offering, you can just sit back, relax and enjoy the turquoise sea, the most delicious local cuisine, and magnificent sights that will blow you away. Visiting Barcelona in Springtime might just be the best time to avoid the overcrowded streets, overpriced gift items, and the eye-rolling’s from the locals. Tour the city with its infrastructures and its stunning architectural work. If you’re into cultural histories, amazing artworks and exquisite foods, Barcelona is the way to go. Of course, there are also other activities that you can add to your itinerary such as fishing and sailing. Sandy Beaches, friendly people, sights and cheap prices is what you can expect from the city of Cancun. Featured on MTV’s “Spring Break” in the last couple of years, you can expect a lot of fun and partying just along the coasts. Accommodations are aplenty in Cancun. From cheap apartments to high-class hotels and resorts. Join in the fun activities such as bird-watching, ziplines, cultural tours, park rides, and bungee jumping. Visit the Keukenhof Gardens in Holland if you are into floral artistry. The colorful mosaics that the Dutch floral industry showcases are one of the most beautiful sights that you will ever see. Learn how millions of tulips can provide a breath-taking sight and the hard work that they put into cultivating these bulbs. Floral shows and other activities are also orchestrated during this time. 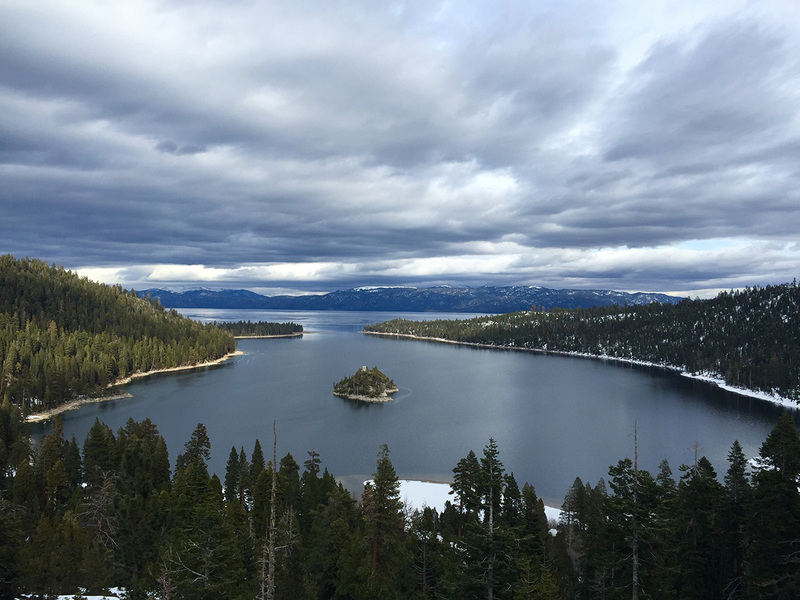 Take your skiing vacation to Lake Tahoe this Spring and enjoy what you’ve missed this last winter. Squaw Valley Alpine Meadows has announced that the ski resort will be in operation until July 7th. You could also join in and enjoy themed parties or just embrace the live music atop the skiing playground. If you had enough of skiing and the cold embrace that comes with it, you can just go down to the Gold Coast Beach Bar and enjoy a good ‘ol barbecue, or you just lie down and sunbathe to your heart’s content. If castles and medieval history is more of your speed, visiting Ledbury, United Kingdom will not disappoint. The historic market towns and Castles that surrounds the city is simply stunning. Being a tourist attraction not only for foreigners but also locals, you might just witness a wedding or other event-worthy taking place. Starting form April, you and your friends or families can join in with the fun with competitions, namely the all-you-can-eat chilliest. There is a playground and other picnic spots, just perfect for a family vacation. Hungering for waves? Munich just might be the place you’re looking for. There’s a 1.2-mile man-made river that was specially designed with a thundering waterfall and waves. Eisbach Surfer Wave is a famous spot for surfers in the area, providing the much-needed thrill when there are now other waves to shred. You can then have a relaxing drink with your buddies at a near 7,000-seat beer garden, Chinesischer Turm. Add in some dumplings and roast pork to your beer and you’re good to go. St. Louis Zoo is ranked as one of the best zoos by numerous reviews and critics. It houses over 600 species in their most realistically designed natural habitat. For the best sight-seeing experience, the zoo is also offering mini-railroads, on-site guides, and even animal shows. Visit the Forest Park with the family and get to see the many attractions that the park has to offer. Not only is it home for the famous St. Louis Zoo, but there are also art and history museums you can visit.